Turnover Tommy, Touchdown Tommy, The Closer, and Reesus. All different names for Notre Dame senior quarterback Tommy Rees, who will be playing his final game at Notre Dame Stadium this Saturday against BYU. Rees could very well be one of the most polarizing figures in the history of Notre Dame football and while there have been their fair share of former Irish players who have caused jubilation and heartache over the years for Irish fans nationwide, it can be safe to say Tommy Rees is near the top of the list. From making game winning throws, to throwing horrific interceptions at the worst possible times, Tommy Rees’s career at Notre Dame has been nothing short of a roller coaster ride. As his career at Notre Dame comes to an end, its time to look back at one of the most interesting, nerve racking, and polarizing careers of any player to play at Notre Dame. Coming out of high school, Tommy Rees was a 3 star recruit who held offers from Tennessee, Stanford, Bowling Green, Miami (OH), and Central Michigan. Not what you would call a very strong offer list. Fellow Irish quarterback Andrew Hendrix, who was in the same recruiting class as Rees, was rated a 4 star recruit with a much more solid offer sheet. Rees committed to the Irish while Charlie Weis was still the head coach and remained committed once Brian Kelly took over for Weis in 2010. Brian Kelly keeping Rees in the class was a surprise to some, as he was more of a pro style quarterback, and Kelly was bringing the high octane spread offense with him from Cincinnati to South Bend. However keeping Rees in his first recruiting class turned out to be one of the smartest decisions he could have made. In his freshman year Rees was not expected to play. Dayne Crist, who was a 5 star quarterback recruit and had years of experience under his belt, firmly held the starting job for the Irish and clearly had the better physical attributes. It was only after Crist suffered a season ending knee injury against Tulsa, was Rees thrown into action. Rees didn’t play all that bad however the game ended on a Rees interception and an Irish loss. The rest of the season, however went pretty well for Rees. After the loss to Tulsa, Rees and the Irish went on to win the remainder of their games to include wins at USC and against Miami in the Sun Bowl. It was a strong finish to the first year of the Brian Kelly and it showed hope for the future of the Irish program. Rees played well to end the season, and because of it, the first of many quarterback controversies was born. Going into the 2011 season the main offseason storyline was who was going to play quarterback for the Irish. While Rees played well to end the 2010 season, he still was responsible for his fair share of turnovers. Throughout fall camp everyone was waiting for who Brian Kelly was going to name his starting quarterback for the 2011 campaign. Kelly finally made the decision that most thought he was going to make and named Dayne Crist the starter for the season opener against South Florida. The decision only lasted for one half. Crist started the 2011 season just about as bad as you could imagine for Notre Dame and by halftime the majority of the stadium was chanting for Tommy Rees to be inserted into the game. And I was one of them. I was also in favor or Crist getting the nod to start the game. But after how the game began for the Irish, it was time for a change. Insert Tommy Rees. However it just wasn’t enough and thanks to five total turnovers by the Irish, South Florida won the game spoiling what was supposed to be a special season for Notre Dame. Following the loss to South Florida, Brian Kelly kept Rees as the starter headed into the game under the lights at Michigan. Its a game we all hope to forget. I will have to say in all my years of watching Notre Dame football, that it was one of the worst losses I have ever witnessed. Thanks to 5 more Notre Dame turnovers, Michigan made an almost impossible comeback to put the Irish at 0-2. Quickly Rees became the new scapegoat for Irish fans everywhere and the term Turnover Tommy started circulating everywhere. And the misery continued all season. It was almost as if everything that could go wrong for the Irish, did go wrong. Rees just kept turning over the football and the Irish, who had hopes at a BCS bowl to start the season, where relegated to the Champs Sports Bowl to play against Florida State. For a while the Irish were playing well against the Seminoles and it looked as if they might pull out a victory to end the season on a high note. That was until the Rees again caught the turnover bug and the Irish ended up losing yet another close game, ending a frustrating and disappointing season for the Irish. The majority of Notre Dame fans had had enough with Tommy Rees following the 2011 season. I will be the first to admit that I was one of them. I was tired of all the turnovers and the frustration that came with them. I was ready for a new quarterback. Everett Golson, who redshirted his freshman year at Notre Dame, was the fan favorite to take over the starting job. 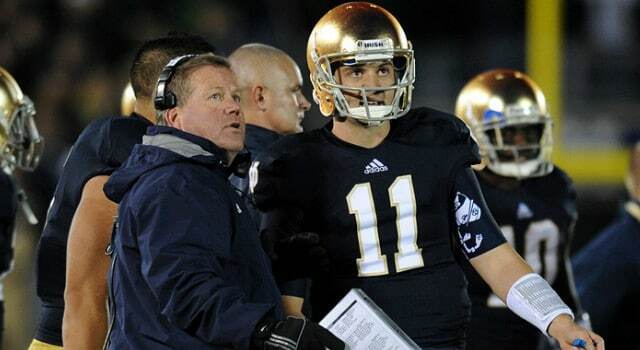 Still Brian Kelly would not name a starting quarterback following the 2012 spring game, and allowed the quarterback competition to continue into summer workouts and fall camp. That all came to a screeching halt when Rees was arrested following a college party and trying to run from the police. Rees famously was tackled by a cab driver, starting numerous jokes about Rees’s mobility. Not going to lie a lot of them were really funny. Following his brush in with the law, Brian Kelly suspended Rees for the season opener and seemingly answering every prayer of Irish fans everywhere. Notre Dame was going to have a new quarterback. With Tommy Rees out of the competition, Golson won the starting job and fans thought that we would never see Rees on the field again. They could not have been more wrong. After playing well to start the 2012 season against Navy, Golson looked to be what fans had been waiting for. A mobile, athletic quarterback with outstanding arm strength that would fit into the offense system that Brian Kelly wanted to run. 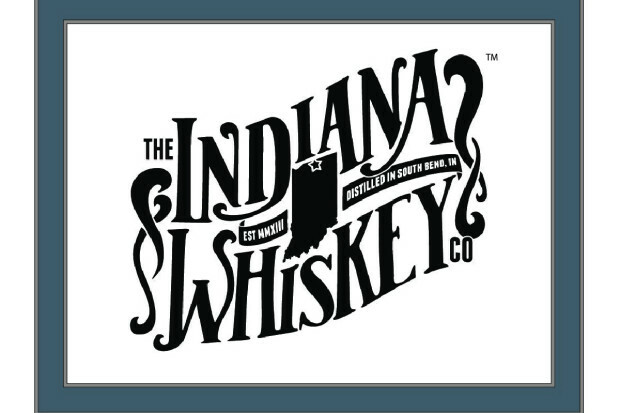 However late in the game the following week against Purdue, the Irish were in a close one. Late in the game Golson scrambled and took a hit that forced him to leave the game. In comes Tommy Rees to a loud and thunderous roar of boo’s from the Notre Dame faithful. Just imagine how Rees must have felt running onto the field when the entire stadium was booing the fact that he was forced into the game. It would be hard for anyone to focus and play after hearing that. But not Rees. Rees led the Irish down the field capped off by a key throw on 4th down that lead to the game winning field goal. While Irish fans were happy the game was won, mostly nobody wanted to see Rees at quarterback over Golson, and were happy to see Golson play well the following week as the Irish picked up a win on the road at Michigan State. Again it looked as if Rees’s playing time was done at Notre Dame. Than came the Michigan game. As I sat in the stands that September night as the Irish took on Michigan, you could feel the excitement in the stadium. The Irish were 3-0 and fans were starting to believe we could be in store for a special season. When Tommy Rees was inserted into the game to take over for a struggling Golson, all that energy seemed to leave the stadium in a heartbeat. And yet against all odds Tommy Rees did it again for the Irish, leading the only touchdown drive for the Irish and completing a key pass to Tyler Eifert to ice the game and bring the Irish another victory. Rees quickly became known as “The Closer” as he seemingly would come of the bench in relief and bring home the victory. Rees was again called upon to start for an injured Golson against Stanford and BYU and in both instances Rees delivered. Rees had become an invaluable asset to the Irish and without him, its safe to say that the trip to the National Championship would have never happened. And that brings us to this year. Nobody thought that Tommy would start another game following the 2012 season. Everett Golson had a firm grasp on the starting job, and former 5 star recruit Gunner Kiel seemed to be the favorite to take over the back up job. The only future that Rees seemingly had left at Notre Dame was to sit the bench. But thanks to Kiel transferring, and Golson being suspended for an academic issue, Tommy Rees again was thrown into the starting job for Notre Dame. So far this year Tommy Rees has had his ups and downs and has again drawn criticism from fans everywhere including me. But when Rees was knocked out of the game against USC this year, the true value of Tommy Rees really started to show. Andrew Hendrix came into the game with the Irish leading 14-10. Andrew Hendrix did not complete one pass and the offense came to a screeching halt. It really made people realize just how valuable Rees has been to the Irish. While I am sure that many fans will be glad to see Tommy Rees move on from Notre Dame, I myself am going to miss the kid. I have been very critical of Rees during his career and I am not afraid to say that. Rees has deserved more than his fair share of criticism. But what I love about Tommy Rees is that no matter what the kid never gives up. He never let his head get down and always gave his all for Notre Dame. He overcame so much during his time at Notre Dame and embodies the Notre Dame spirit. Now on senior day, Tommy Rees gets a chance to run out onto the field for the last time and finish his Irish legacy on a high note. And I am glad I will be there to see it and cheer on Tommy and the Irish in the final home game of the season. So while you may not be the biggest Tommy Rees fan, take a moment to look back on Rees’s career, and thank him because without Rees, many of the success that have taken place over the last 4 seasons would have never happened. The future looks bright for the Irish and a large portion of that can be credited to Tommy Rees. Thanks Tommy for all you have done for Notre Dame.